This post first appeared in Grist. As we know, one of the few beneficial side effects of the Great Recession of 2009 was the decline in global greenhouse gas emissions as our consumer-centric economy sputtered. 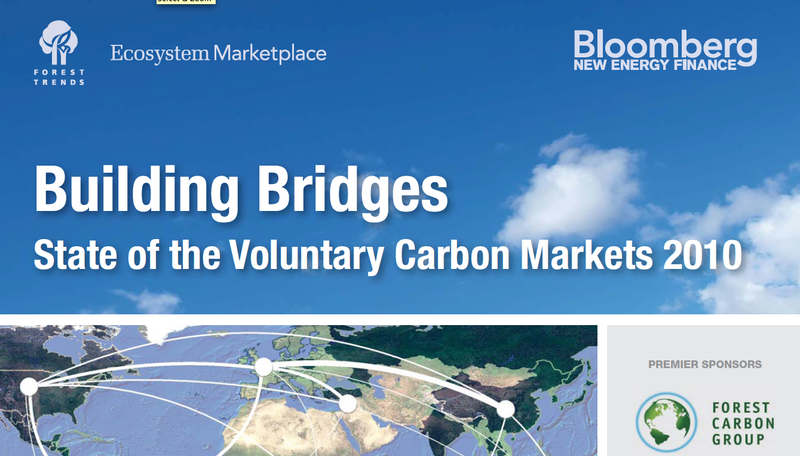 But that also sent the voluntary carbon markets into a tailspin, according to a new report released Tuesday by Bloomberg New Energy Finance and Ecosystem Marketplace. The value of greenhouse gas emissions credits traded on the voluntary markets plunged 47 percent in 2009 to $387.4 million, while the volume of greenhouse gas emissions traded fell 26 percent to 93.7 millions of tons of carbon dioxide equivalent (MtCO2e). Still, even in a recession the volume of greenhouse gas emissions traded in 2009 was 39 percent higher than in 2007. Interestingly, the regulated carbon markets powered through the downturn, growing 7 percent with 8,625 MtCO2e traded at a value of $144 billion, according to the report. The United States became the world’s biggest supplier of voluntary carbon credits for the first time last year, followed by Latin America and Asia. Methane-related projects accounted for 41 percent of offset credits while forestry programs were tied to 24 percent of credits and renewable energy to 17 percent.